You may also hear these dentures called a “Hybrid.” They are a hybrid in that they are kind of like a bridge and kind of like a denture. Although they can come in a variety of materials, many times they are fabricated out of the same material as dentures. The main difference is that they are fixed. That means, they stay in the mouth—all the time!! 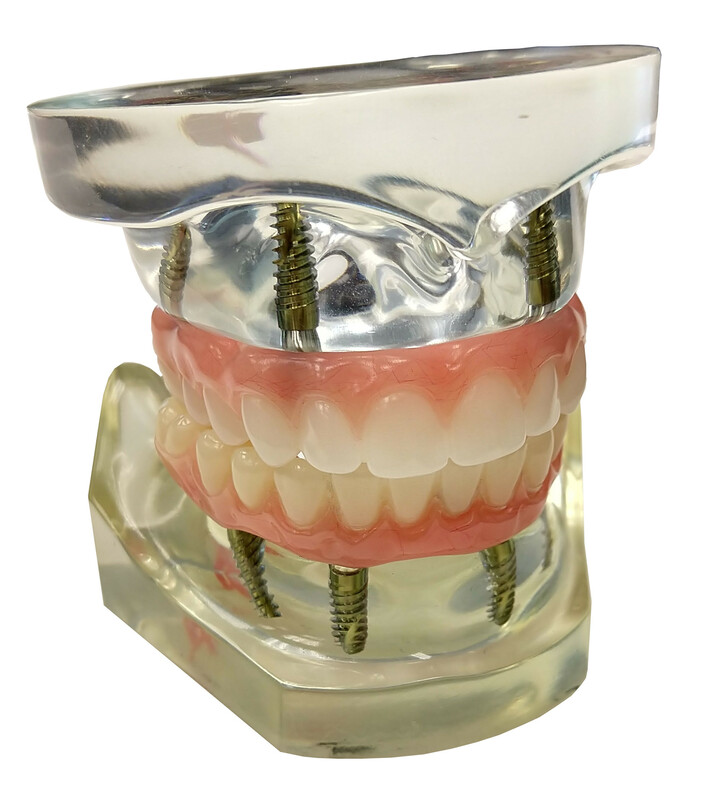 Fixed dentures are attached to multiple dental implants. A number of scenarios exist, but many times problematic teeth can be removed, implants placed, and a temporary fixed denture put to place the very same day. If you’re interested in the closest thing to having your natural teeth back after you’ve lost all of your teeth, consider the fixed denture. Come in and let us show you, in much more detail, just how you can benefit from a fixed denture. Just think—life-like teeth that don’t move and never come out. That will definitely put a smile on your face!